For other uses, see Middle East (disambiguation). Map of the Middle East between Africa, Europe, and Central Asia. 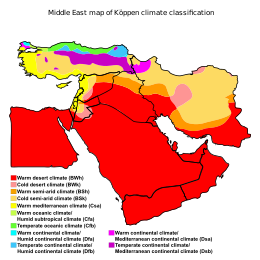 Middle East map of Köppen climate classification. The Middle East is a transcontinental region centered on Western Asia, Turkey (both Asian and European), and Egypt (which is mostly in North Africa). Saudi Arabia is geographically the largest Middle Eastern nation while Bahrain is the smallest. The corresponding adjective is Middle Eastern and the derived noun is Middle Easterner. The term has come into wider usage as a replacement of the term Near East (as opposed to the Far East) beginning in the early 20th century. Arabs, Turks, Persians, Kurds, and Azeris (excluding Azerbaijan) constitute the largest ethnic groups in the region by population. Arabs constitute the largest ethnic group in the region by a clear margin. Indigenous minorities of the Middle East include Jews, Baloch, Assyrians, Berbers (who primarily live in North Africa), Copts, Druze, Lurs, Mandaeans, Samaritans, Shabaks, Tats, and Zazas. European ethnic groups that form a diaspora in the region include Albanians, Bosniaks, Circassians (including Kabardians), Crimean Tatars, Greeks, Franco-Levantines, and Italo-Levantines. Among other migrant populations are Chinese, Filipinos, Indians, Indonesians, Pakistanis, Pashtuns, Romani, and sub-Saharan Africans. The term "Middle East" may have originated in the 1850s in the British India Office. However, it became more widely known when American naval strategist Alfred Thayer Mahan used the term in 1902 to "designate the area between Arabia and India". During this time the British and Russian Empires were vying for influence in Central Asia, a rivalry which would become known as The Great Game. Mahan realized not only the strategic importance of the region, but also of its center, the Persian Gulf. He labeled the area surrounding the Persian Gulf as the Middle East, and said that after Egypt's Suez Canal, it was the most important passage for Britain to control in order to keep the Russians from advancing towards British India. Mahan first used the term in his article "The Persian Gulf and International Relations", published in September 1902 in the National Review, a British journal. The Middle East, if I may adopt a term which I have not seen, will some day need its Malta, as well as its Gibraltar; it does not follow that either will be in the Persian Gulf. Naval force has the quality of mobility which carries with it the privilege of temporary absences; but it needs to find on every scene of operation established bases of refit, of supply, and in case of disaster, of security. The British Navy should have the facility to concentrate in force if occasion arise, about Aden, India, and the Persian Gulf. Mahan's article was reprinted in The Times and followed in October by a 20-article series entitled "The Middle Eastern Question," written by Sir Ignatius Valentine Chirol. During this series, Sir Ignatius expanded the definition of Middle East to include "those regions of Asia which extend to the borders of India or command the approaches to India." After the series ended in 1903, The Times removed quotation marks from subsequent uses of the term. Until World War II, it was customary to refer to areas centered around Turkey and the eastern shore of the Mediterranean as the "Near East", while the "Far East" centered on China, and the Middle East then meant the area from Mesopotamia to Burma, namely the area between the Near East and the Far East. In the late 1930s, the British established the Middle East Command, which was based in Cairo, for its military forces in the region. After that time, the term "Middle East" gained broader usage in Europe and the United States, with the Middle East Institute founded in Washington, D.C. in 1946, among other usage. With the disappearance of the Ottoman Empire in 1918, "Near East" largely fell out of common use in English, while "Middle East" came to be applied to the re-emerging countries of the Islamic world. However, the usage "Near East" was retained by a variety of academic disciplines, including archaeology and ancient history, where it describes an area identical to the term Middle East, which is not used by these disciplines (see Ancient Near East). 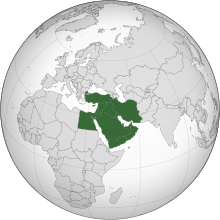 The first official use of the term "Middle East" by the United States government was in the 1957 Eisenhower Doctrine, which pertained to the Suez Crisis. Secretary of State John Foster Dulles defined the Middle East as "the area lying between and including Libya on the west and Pakistan on the east, Syria and Iraq on the North and the Arabian peninsula to the south, plus the Sudan and Ethiopia." In 1958, the State Department explained that the terms "Near East" and "Middle East" were interchangeable, and defined the region as including only Egypt, Syria, Israel, Lebanon, Jordan, Iraq, Saudi Arabia, Kuwait, Bahrain, and Qatar. Use Middle East unless Near East is used by a source in a story. Mideast is also acceptable, but Middle East is preferred. The term Middle East has also been criticised as Eurocentric ("based on a British Western perception") by Hanafi (1998). 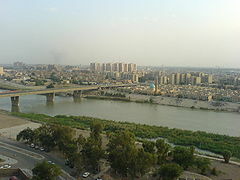 Perhaps because of the influence of the Western press, the Arabic equivalent of Middle East (Arabic: الشرق الأوسط ash-Sharq al-Awsaṭ) has become standard usage in the mainstream Arabic press, comprising the same meaning as the term "Middle East" in North American and Western European usage. The designation, Mashriq, also from the Arabic root for East, also denotes a variously defined region around the Levant, the eastern part of the Arabic-speaking world (as opposed to the Maghreb, the western part). Even though the term originated in the West, apart from Arabic, other languages of countries of the Middle East also use a translation of it. The Persian equivalent for Middle East is خاورمیانه (Khāvar-e miyāneh), the Hebrew is המזרח התיכון (hamizrach hatikhon) and the Turkish is Orta Doğu. For a more comprehensive list, see List of Middle Eastern countries by population. a. 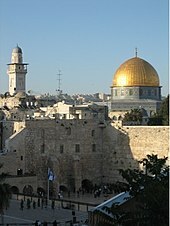 ^ ^ Jerusalem is the proclaimed capital of Israel, which is disputed and the actual location of the Knesset, Israeli Supreme Court, and other governmental institutions of Israel. 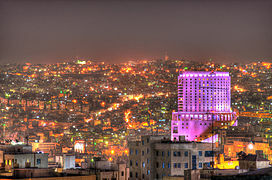 Ramallah is the actual location of the government of Palestine, whereas the proclaimed capital of Palestine is East Jerusalem, which is disputed. b. ^ Controlled by the Houthis due to the ongoing war. 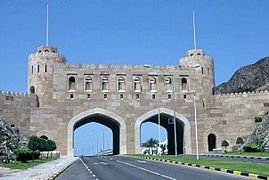 Seat of government moved to Aden. Various concepts are often being paralleled to Middle East, most notably Near East, Fertile Crescent and the Levant. Near East, Levant and Fertile Crescent are geographic concepts, which refer to large sections of the modern defined Middle East, with Near East being the closest to Middle East in its geographic meaning. 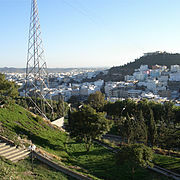 Due to it primarily being Arabic speaking, the Maghreb region of North Africa is sometimes included. The countries of the South Caucasus—Armenia, Azerbaijan, and Georgia—are occasionally included in definitions of the Middle East. 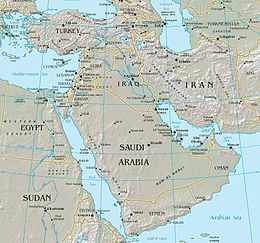 The Greater Middle East was a political term coined by the second Bush administration in the first decade of the 21st century, to denote various countries, pertaining to the Muslim world, specifically Iran, Turkey, Afghanistan and Pakistan. Various Central Asian countries are sometimes also included. The Middle East lies at the juncture of Eurasia and Africa and of the Mediterranean Sea and the Indian Ocean. It is the birthplace and spiritual center of religions such as Christianity, Islam, Judaism, Manichaeism, Yezidi, Druze, Yarsan and Mandeanism, and in Iran, Mithraism, Zoroastrianism, Manicheanism, and the Bahá'í Faith. Throughout its history the Middle East has been a major center of world affairs; a strategically, economically, politically, culturally, and religiously sensitive area. The world's earliest civilizations, Mesopotamia (Sumer, Akkad, Assyria and Babylonia) and ancient Egypt, originated in the Fertile Crescent and Nile Valley regions of the ancient Near East. These were followed by the Hittite, Greek and Urartian civilisations of Asia Minor, Elam in pre-Iranian Persia, as well as the civilizations of the Levant (such as Ebla, Ugarit, Canaan, Aramea, Phoenicia and Israel), Persian and Median civilizations in Iran, North Africa (Carthage/Phoenicia) and the Arabian Peninsula (Magan, Sheba, Ubar). The Near East was first largely unified under the Neo Assyrian Empire, then the Achaemenid Empire followed later by the Macedonian Empire and after this to some degree by the Iranian empires (namely the Parthian and Sassanid Empires), the Roman Empire and Byzantine Empire. However, it would be the later Arab Caliphates of the Middle Ages, or Islamic Golden Age which began with the Arab conquest of the region in the 7th century AD, that would first unify the entire Middle East as a distinct region and create the dominant Islamic ethnic identity that largely (but not exclusively) persists today. The Mongols, the Kingdom of Armenia, the Seljuks, the Safavids, the Ottoman Empire, and the British Empire also dominated the region. The modern Middle East began after World War I, when the Ottoman Empire, which was allied with the Central Powers, was defeated by the British Empire and their allies and partitioned into a number of separate nations, initially under British and French Mandates. Other defining events in this transformation included the establishment of Israel in 1948 and the eventual departure of European powers, notably Britain and France by the end of the 1960s. They were supplanted in some part by the rising influence of the United States from the 1970s onwards. In the 20th century, the region's significant stocks of crude oil gave it new strategic and economic importance. Mass production of oil began around 1945, with Saudi Arabia, Iran, Kuwait, Iraq, and the United Arab Emirates having large quantities of oil. Estimated oil reserves, especially in Saudi Arabia and Iran, are some of the highest in the world, and the international oil cartel OPEC is dominated by Middle Eastern countries. During the Cold War, the Middle East was a theater of ideological struggle between the two superpowers and their allies: NATO and the United States on one side, and the Soviet Union and Warsaw Pact on the other, as they competed to influence regional allies. Besides the political reasons there was also the "ideological conflict" between the two systems. Moreover, as Louise Fawcett argues, among many important areas of contention, or perhaps more accurately of anxiety, were, first, the desires of the superpowers to gain strategic advantage in the region, second, the fact that the region contained some two-thirds of the world's oil reserves in a context where oil was becoming increasingly vital to the economy of the Western world [...] Within this contextual framework, the United States sought to divert the Arab world from Soviet influence. Throughout the 20th and 21st centuries, the region has experienced both periods of relative peace and tolerance and periods of conflict particularly between Sunnis and Shiites. Arabs constitute the largest ethnic group in the Middle East, followed by Turkic people. Native ethnic groups of the region include, in addition to Arabs, Arameans, Assyrians, Baloch, Berbers, Copts, Druze, Jews, Kurds, Lurs, Mandaeans, Persians, Samaritans, Shabaks, Tats, and Zazas. "Migration has always provided an important vent for labor market pressures in the Middle East. For the period between the 1970s and 1990s, the Arab states of the PersianGulf in particular provided a rich source of employment for workers from Egypt, Yemen and the countries of the Levant, while Europe had attracted young workers from North African countries due both to proximity and the legacy of colonial ties between France and the majority of North African states." According to the International Organization for Migration, there are 13 million first-generation migrants from Arab nations in the world, of which 5.8 reside in other Arab countries. 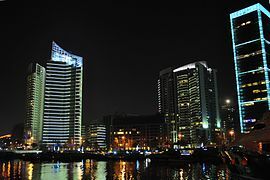 Expatriates from Arab countries contribute to the circulation of financial and human capital in the region and thus significantly promote regional development. In 2009 Arab countries received a total of 35.1 billion USD in remittance in-flows and remittances sent to Jordan, Egypt and Lebanon from other Arab countries are 40 to 190 per cent higher than trade revenues between these and other Arab countries. In Somalia, the Somali Civil War has greatly increased the size of the Somali diaspora, as many of the best educated Somalis left for Middle Eastern countries as well as Europe and North America. Non-Arab Middle Eastern countries such as Turkey, Israel and Iran are also subject to important migration dynamics. A fair proportion of those migrating from Arab nations are from ethnic and religious minorities facing racial and or religious persecution and are not necessarily ethnic Arabs, Iranians or Turks. Large numbers of Kurds, Jews, Assyrians, Greeks and Armenians as well as many Mandeans have left nations such as Iraq, Iran, Syria and Turkey for these reasons during the last century. In Iran, many religious minorities such as Christians, Baha'is and Zoroastrians have left since the Islamic Revolution of 1979. The Middle East is very diverse when it comes to religions, many of which originated there. 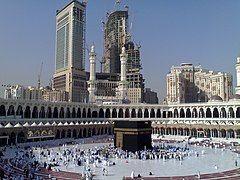 Islam is the largest religion in the Middle East, but other faiths that originated there, such as Judaism and Christianity, are also well represented. 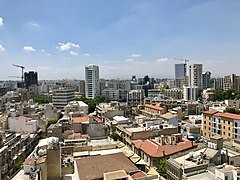 Christians represent 40.5% of Lebanon, where the Lebanese president, half of the cabinet, and half of the parliament follow one of the various Lebanese Christian rites. There are also important minority religions like the Bahá'í Faith, Yarsanism, Yazidism, Zoroastrianism, Mandaeism, Druze, and Shabakism, and in ancient times the region was home to Mesopotamian religions, Canaanite religions, Manichaeism, Mithraism and various monotheist gnostic sects. The five top languages, in terms of numbers of speakers, are Arabic, Persian, Turkish, Kurdish, and Hebrew. Arabic and Hebrew represent the Afro-Asiatic language family. Persian and Kurdish belong to the Indo-European language family. Turkish belongs to Turkic language family. About 20 minority languages are also spoken in the Middle East. Arabic, with all its dialects, are the most widely spoken languages in the Middle East, with Literary Arabic being official in all North African and in most West Asian countries. Arabic dialects are also spoken in some adjacent areas in neighbouring Middle Eastern non-Arab countries. It is a member of the Semitic branch of the Afro-Asiatic languages. 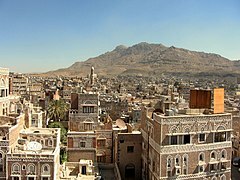 Several Modern South Arabian languages such as Mehri and Soqotri are also spoken Yemen and Oman. Another Semitic language such as Aramaic and its dialects are spoken mainly by Assyrians and Mandaeans. There is also a Oasis Berber-speaking community in Egypt where the language is also known as Siwa. It is a non-Semitic Afro-Asiatic language. Persian is the second most spoken language. 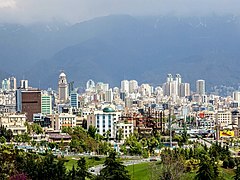 While it is primarily spoken in Iran and some border areas in neighbouring countries, the country is one of the region's largest and most populous. It belongs to the Indo-Iranian branch of the family of Indo-European languages. Other Western Iranic languages spoken in the region include Achomi, Daylami, Kurdish dialects, Semmani, Lurish, amongst many others. The third-most widely spoken language, Turkish, is largely confined to Turkey, which is also one of the region's largest and most populous countries, but it is present in areas in neighboring countries. It is a member of the Turkic languages, which have their origins in Central Asia. Another Turkic language, Azerbaijani, is spoken by Azerbaijanis in Iran. Hebrew is one of the two official languages of Israel, the other being Arabic. Hebrew is spoken and used by over 80% of Israel's population, the other 20% using Arabic. English is commonly taught and used as a second language, especially among the middle and upper classes, in countries such as Egypt, Jordan, Iran, Kurdistan, Iraq, Qatar, Bahrain, United Arab Emirates and Kuwait. 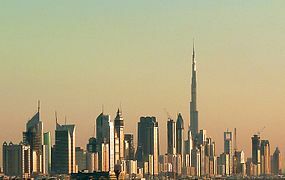 It is also a main language in some Emirates of the United Arab Emirates. French is taught and used in many government facilities and media in Lebanon, and is taught in some primary and secondary schools of Egypt and Syria. Maltese, a Semitic language mainly spoken in Europe, is also used by the Franco-Maltese diaspora in Egypt. Bengali, Hindi and Urdu is widely spoken by migrant communities in many Middle Eastern countries, such as Saudi Arabia (where 20–25% of the population is South Asian), the United Arab Emirates (where 50–55% of the population is South Asian), and Qatar, which have large numbers of Pakistani, Bangladeshi and Indian immigrants. Middle Eastern economies range from being very poor (such as Gaza and Yemen) to extremely wealthy nations (such as Qatar and UAE). 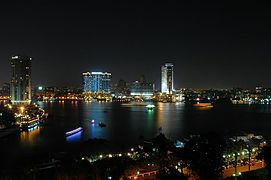 Overall, as of 2007[update], according to the CIA World Factbook, all nations in the Middle East are maintaining a positive rate of growth. According to the World Bank's World Development Indicators database published on July 1, 2009, the three largest Middle Eastern economies in 2008 were Turkey ($794,228), Saudi Arabia ($467,601) and Iran ($385,143) in terms of Nominal GDP. 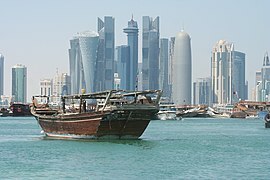 Regarding nominal GDP per capita, the highest ranking countries are Qatar ($93,204), the UAE ($55,028), Kuwait ($45,920) and Cyprus ($32,745). Turkey ($1,028,897), Iran ($839,438) and Saudi Arabia ($589,531) had the largest economies in terms of GDP-PPP. 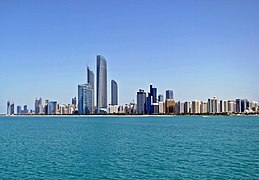 When it comes to per capita (PPP)-based income, the highest-ranking countries are Qatar ($86,008), Kuwait ($39,915), the UAE ($38,894), Bahrain ($34,662) and Cyprus ($29,853). 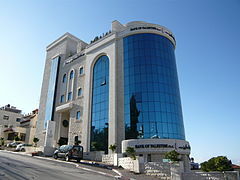 The lowest-ranking country in the Middle East, in terms of per capita income (PPP), is the autonomous Palestinian Authority of Gaza and the West Bank ($1,100). The economic structure of Middle Eastern nations are different in the sense that while some nations are heavily dependent on export of only oil and oil-related products (such as Saudi Arabia, the UAE and Kuwait), others have a highly diverse economic base (such as Cyprus, Israel, Turkey and Egypt). 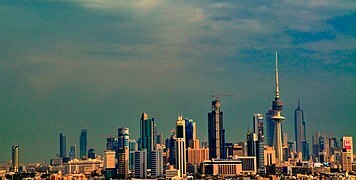 Industries of the Middle Eastern region include oil and oil-related products, agriculture, cotton, cattle, dairy, textiles, leather products, surgical instruments, defence equipment (guns, ammunition, tanks, submarines, fighter jets, UAVs, and missiles). Banking is also an important sector of the economies, especially in the case of UAE and Bahrain. 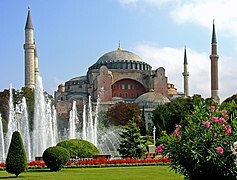 With the exception of Cyprus, Turkey, Egypt, Lebanon and Israel, tourism has been a relatively undeveloped area of the economy, in part because of the socially conservative nature of the region as well as political turmoil in certain regions of the Middle East. In recent years, however, countries such as the UAE, Bahrain, and Jordan have begun attracting greater number of tourists because of improving tourist facilities and the relaxing of tourism-related restrictive policies. Unemployment is notably high in the Middle East and North Africa region, particularly among young people aged 15–29, a demographic representing 30% of the region's total population. The total regional unemployment rate in 2005, according to the International Labour Organization, was 13.2%, and among youth is as high as 25%, up to 37% in Morocco and 73% in Syria. 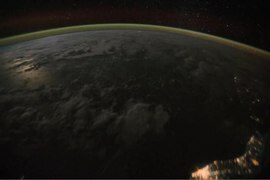 This video over Central Africa and the Middle East was taken by the crew of Expedition 29 on board the International Space Station. 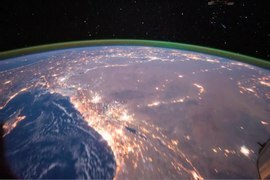 This video over the Sahara Desert and the Middle East was taken by the crew of Expedition 29 on board the International Space Station. 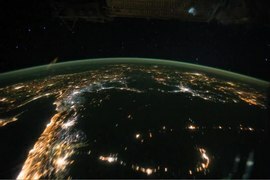 A pass beginning over Turkmenistan, east of the Caspian Sea to south-eastern China, just north-west of Hong Kong. 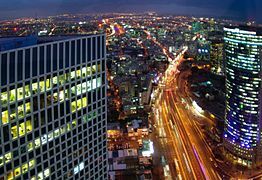 ^ According to the 1993 Statistical Abstract of Israel there were 250,000 Romanian speakers in Israel, at a population of 5,548,523 (census 1995). ^ Shoup, John A. (2011-10-31). Ethnic Groups of Africa and the Middle East: An Encyclopedia. ISBN 978-1-59884-362-0. Archived from the original on 24 April 2016. Retrieved 26 May 2014. ^ Cairo, Michael F. The Gulf: The Bush Presidencies and the Middle East Archived 2015-12-22 at the Wayback Machine University Press of Kentucky, 2012 ISBN 978-0-8131-3672-1 p xi. ^ Kahana, Ephraim. Suwaed, Muhammad. Historical Dictionary of Middle Eastern Intelligence Archived 2015-12-23 at the Wayback Machine Scarecrow Press, 13 apr. 2009 ISBN 978-0-8108-6302-6 p. xxxi. ^ Beaumont, Blake & Wagstaff 1988, p. 16. ^ Koppes, CR (1976). "Captain Mahan, General Gordon and the origin of the term "Middle East"". Middle East Studies. 12: 95–98. doi:10.1080/00263207608700307. ^ Lewis, Bernard (1965). The Middle East and the West. p. 9. ^ Fromkin, David (1989). A Peace to end all Peace. p. 224. ISBN 978-0-8050-0857-9. ^ Melman, Billie (November 2002), Companion to Travel Writing, Collections Online, 6 The Middle East/Arabia, Cambridge, archived from the original on December 8, 2007, retrieved January 8, 2006 . ^ Palmer, Michael A. Guardians of the Persian Gulf: A History of America's Expanding Role in the Persian Gulf, 1833–1992. New York: The Free Press, 1992. ISBN 0-02-923843-9 pp. 12–13. ^ Laciner, Dr. Sedat. "Is There a Place Called 'the Middle East'? Archived 2007-02-20 at the Wayback Machine", The Journal of Turkish Weekly, June 2, 2006. Retrieved January 10, 2007. ^ Adelson 1995, pp. 22–23. ^ Adelson 1995, p. 24. ^ Adelson 1995, p. 26. ^ a b Davison, Roderic H. (1960). "Where is the Middle East?". Foreign Affairs. 38 (4): 665–75. doi:10.2307/20029452. JSTOR 20029452. ^ Held, Colbert C. (2000). Middle East Patterns: Places, Peoples, and Politics. Westview Press. p. 7. ISBN 978-0-8133-8221-0. 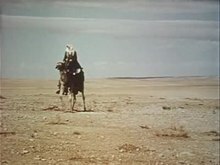 ^ Hanafi, Hassan. "The Middle East, in whose world? (Primary Reflections)". Nordic Society for Middle Eastern Studies (The fourth Nordic conference on Middle Eastern Studies: The Middle East in globalizing world Oslo, 13–16 August 1998). Archived from the original on 8 October 2006. ("unedited paper as given at the Oslo conference. An updated and edited version has been published in Utvik and Vikør, The Middle East in a Globalized World, Bergen/London 2000, 1–9. Please quote or refer only to the published article") "The expression Middle East is an old British label based on a British Western perception of the East divided into middle or near and far". see also Shohat, Ella. "Redrawing American Cartographies of Asia". City University of New York. Archived from the original on 2007-03-12. Retrieved 2007-01-12. ^ "GDP". IMF. Archived from the original on 2014-09-22. Retrieved 2014-04-16. ^ "GDP per capita". IMF. Archived from the original on 2014-09-22. Retrieved 2014-04-16. ^ Novikova, Gayane (December 2000). "Armenia and the Middle East" (PDF). Middle East Review of International Affairs. Archived (PDF) from the original on 21 August 2014. Retrieved 14 August 2014. ^ Haeri, Safa (2004-03-03). "Concocting a 'Greater Middle East' brew". Asia Times. Retrieved 2008-08-21. ^ Middle East Archived 2016-04-15 at the Wayback Machine What Is The Middle East And What Countries Are Part of It? 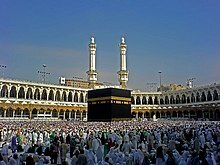 worldatlas.com. Retrieved 16 April 2016. ^ Hassan, Islam; Dyer, Paul (2017). "The State of Middle Eastern Youth". The Muslim World. 107 (1): 3–12. hdl:10822/1042998. Archived from the original on 2017-04-03. ^ "IOM Intra regional labour mobility in Arab region Facts and Figures (English)" (PDF). Archived (PDF) from the original on 2011-04-30. Retrieved 2012-10-31. ^ "World Factbook – Jordan". Archived from the original on 2011-06-29. 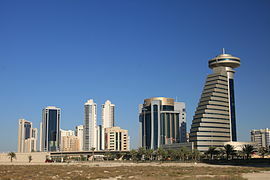 ^ "World Factbook – Kuwait". Archived from the original on 2014-07-02. ^ "Reports of about 300,000 Jews that left the country after WW2". Eurojewcong.org. Archived from the original on 2010-08-13. Retrieved 2010-07-07. ^ "Evenimentul Zilei". Evz.ro. Archived from the original on 2007-12-24. Retrieved 2010-07-07. ^ The World Bank: World Economic Indicators Database. GDP (Nominal) 2008. Archived 2009-09-12 at the Wayback Machine Data for 2008. Last revised on July 1, 2009. ^ Data refer to 2008. World Economic Outlook Database-October 2009, International Monetary Fund. Retrieved October 1, 2009. ^ The World Bank: World Economic Indicators Database. GDP (PPP) 2008. Archived 2014-02-09 at the Wayback Machine Data for 2008. Last revised on July 1, 2009. ^ "Unemployment Rates Are Highest in the Middle East". Progressive Policy Institute. August 30, 2006. Archived from the original on July 14, 2010. ^ Navtej Dhillon; Tarek Yousef (2007). "Inclusion: Meeting the 100 Million Youth Challenge". Shabab Inclusion. Archived from the original on 2008-11-09. ^ Hilary Silver (December 12, 2007). "Social Exclusion: Comparative Analysis of Europe and Middle East Youth". Middle East Youth Initiative Working Paper. Shabab Inclusion. Archived from the original on August 20, 2008. Adelson, Roger (1995). London and the Invention of the Middle East: Money, Power, and War, 1902–1922. Yale University Press. ISBN 978-0-300-06094-2. Anderson, R; Seibert, R; Wagner, J. (2006). Politics and Change in the Middle East (8th ed.). Prentice-Hall. Barzilai, Gad; Aharon, Klieman; Gil, Shidlo (1993). The Gulf Crisis and its Global Aftermath. Routledge. ISBN 978-0-415-08002-6. Barzilai, Gad (1996). Wars, Internal Conflicts and Political Order. State University of New York Press. ISBN 978-0-7914-2943-3. Beaumont, Peter; Blake, Gerald H; Wagstaff, J. Malcolm (1988). The Middle East: A Geographical Study. David Fulton. ISBN 978-0-470-21040-6. Cleveland, William L., and Martin Bunton. A history of the modern Middle East (Westview Press, 2016). Cressey, George B. (1960). Crossroads: Land and Life in Southwest Asia. Chicago, IL: J.B. Lippincott Co. xiv, 593 pp. ill. with maps and b&w photos. Freedman, Robert O. (1991). The Middle East from the Iran-Contra Affair to the Intifada, in series, Contemporary Issues in the Middle East. 1st ed. Syracuse, NY: Syracuse University Press. x, 441 pp. ISBN 0-8156-2502-2 pbk. Goldschmidt, Arthur Jr (1999). A Concise History of the Middle East. Westview Press. ISBN 978-0-8133-0471-7. Halpern, Manfred. Politics of Social Change: In the Middle East and North Africa (Princeton University Press, 2015). Ismael, Jacqueline S., Tareq Y. Ismael, and Glenn Perry. Government and politics of the contemporary Middle East: Continuity and change (Routledge, 2015). Lynch, Marc, ed. The Arab Uprisings Explained: New Contentious Politics in the Middle East (Columbia University Press, 2014). p. 352. Palmer, Michael A. (1992). Guardians of the Persian Gulf: A History of America's Expanding Role in the Persian Gulf, 1833–1992. New York: The Free Press. ISBN 978-0-02-923843-1. Reich, Bernard. Political leaders of the contemporary Middle East and North Africa: a biographical dictionary (Greenwood Publishing Group, 1990). "Middle East – Articles by Region" – Council on Foreign Relations: "A Resource for Nonpartisan Research and Analysis"
"Middle East – Interactive Crisis Guide" – Council on Foreign Relations: "A Resource for Nonpartisan Research and Analysis"